We are a custom cable assembly manufacturer, offering design, engineering, manufacturing and injection / insert molding services, for a large variety of electronic and electrical cables and cable harnesses. Our strengths are: guaranteed quality, low prices, fast delivery and full customer support. Over the years we developed strong relationships with OEM and ODM companies, and we can supply from small runs and high mixes, to volume cable assembly manufacturing. 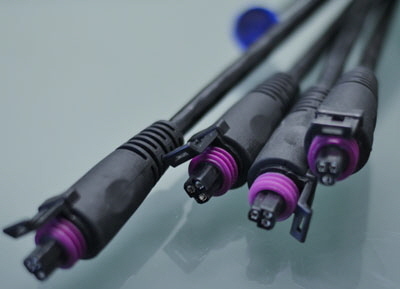 For many custom cable assemblies we offer injection molding services and connector accessories, such as cable strain reliefs, cable grommets, cable boots, cable bushings, and cable fittings. Octopus Cable Assemblies: CAT 3 to DB25, CAT 5 to RJ45, etc. For the Most Advanced Custom Molded Cable Assembly Solutions!